Most of the talks will take place there. 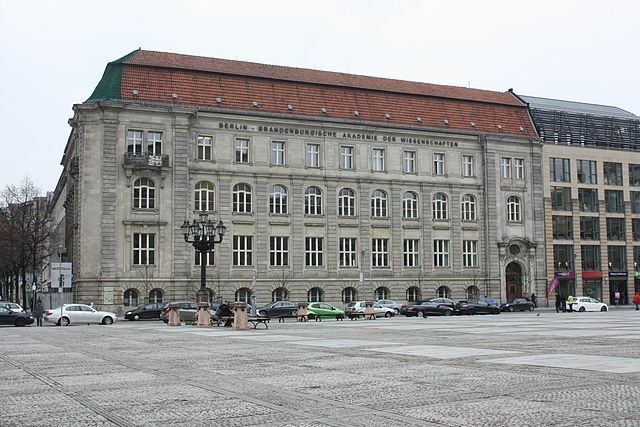 The Einstein-Saal is located in the 5th floor of the Berlin-Brandenburgische Akademie der Wissenschaften, whose entrance is at Jägerstraße 22/23, 10117 Berlin. In the map below the building location is indicated by a red square. 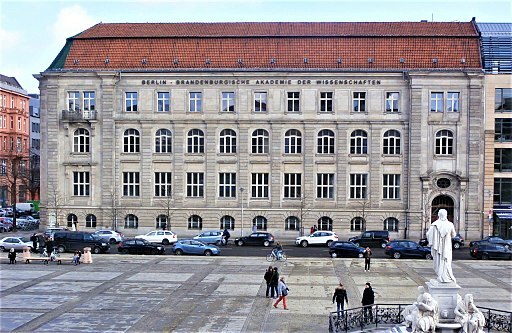 The second map shows the 5th floor of the Berlin-Brandenburgische Akademie der Wissenschaften, where the Einstein-Saal is located. Map of the surroundings the BBAW. Map of the 5th floor of the BBAW. U-Bahn line U2, at the stops Stadmitte and Hausvogteiplatz, plus walking between 5 and 10 minutes. U-Bahn line U6, at the stops Französiche Strasse and Stadmitte, plus walking between 5 and 10 minutes. Walking between 15 and 20 minutes from S/U Friedrichstrasse. Walking between 20 and 25 minutes from S/U Alexanderplatz. All the information above must be checked in the web of the public transportation system of Berlin fahrinfo.bvg.de. Amici, at Jägerstr. 56, 10117 Berlin. (10-20 euros). Link to the menu. Brasserie Am Gendarmenmarkt, at Taubenstr. 30, 10117 Berlin. (15-30 euros). Link to the menu. Chipps, at Jägerstr. 35, 10117 Berlin. (15-20 euros). Link to the menu. Chupenga Burritos & Salads, at Mohrenstr. 42, 10117 Berlin. (7-10 euros). Link to the menu. Goodtime Restaurant, at Hausvogteipl. 11, 10117 Berlin. (7-16 euros). Link to the menu. Little Green Rabbit, at Jägerstr. 27, 10117 Berlin. (5-10 euros). Link to the menu. Malatesta, at Charlottenstr. 59, 10117 Berlin. (5-10 euros). Link to the menu. Meisterstück Berlin-Mitte, at Hausvogteipl. 3-4, 10117 Berlin. (8-10 euros). Link to the menu. Roter Jäger, at Jägerstr. 28-31, 10117 Berlin. (10 euros). Link to the menu. This information is still incomplete and will be updated. 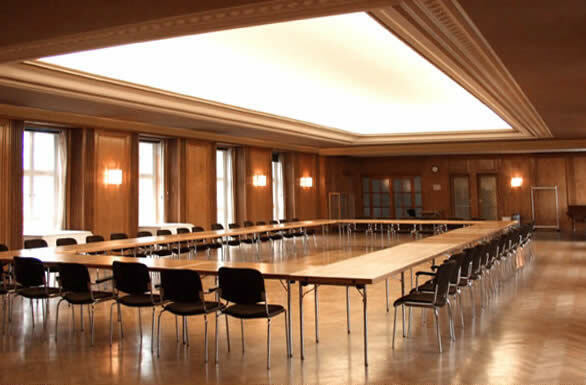 We have blocked 40 rooms in the NH Hotel Berlin Mitte (Leipziger Str. 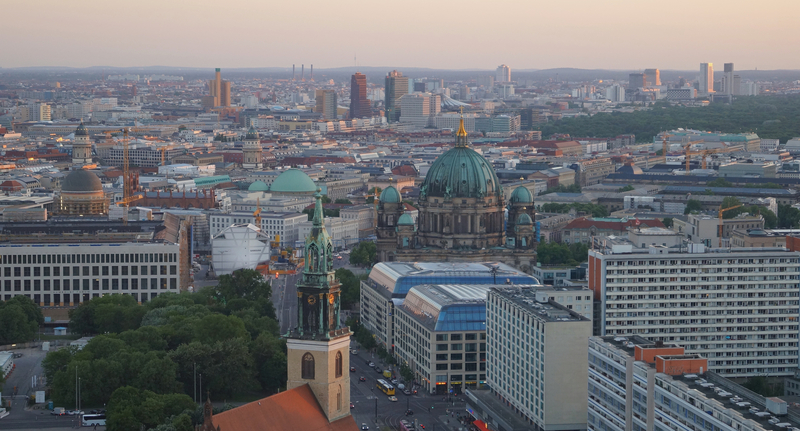 106-111, 10117 Berlin) which can be booked until the 1st of July. The conference location can be reached from there by a 15 minutes walk. The price for one person, including breakfast, is 109 euro per night and for two people, including breakfast, is 134 euro per night. For making a reservation, please visit this link. The reservations will be on a first come first serve basis. The organizers are aware that this hotel is quite expensive. More affordable options, less close to the conference site, may be found directly by the participants via the usual internet portals. Public transportation in Berlin is quite efficient and inexpensive. 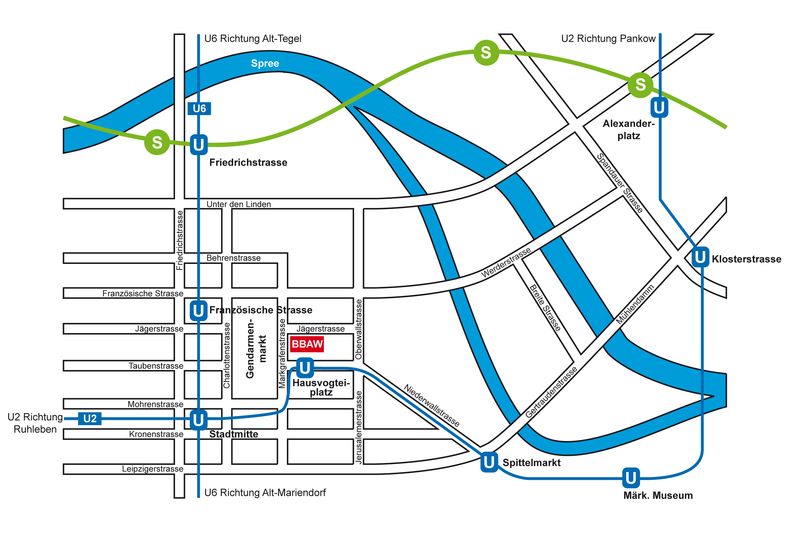 The transportation time for any place on the U-Bahn line U2 or U6 to the conference venue will be in the worst case of at most 40 minutes.